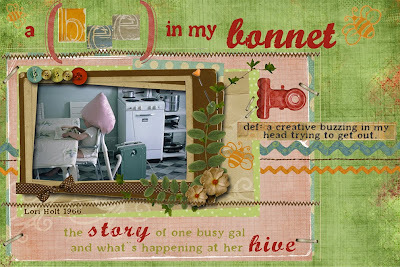 Bee In My Bonnet: Tutorial and a Giveaway!!! I went on quite the bag sewing frenzy. had used my Sew Cherry fabric. a tutorial by my friend Ayumi. my Sew Cherry fabric line. Ayumi has the best tutorials! I love how the bag gathers at the top. all kinds of good stuff. Isn't her fabric so happy and awesome??? but I bet you won't stop at one either! giveaway as well on her cute blog! and the bags that she made. enter to win her giveaway as well! These bags are just too adorable! isn`t it great when you can someone virtual to sew with? she seems inspirational and a keeper for future SAL! thanks Lori for the giveaway! Great bags! I love them all! Thanks for the link to the tutorial! I would love to make one! I like mints too! OH Lori those are the cutest bags ever...I absolutely love the drawstring for the inside...no tipping out of everything. WONDERFUL! ok these are the cutest lunch bags ever! Of course I want to make one too!!!!! not sure I really want to put my lunch in it though! thanks for the giveaway and the link to the pattern! Oh, I'm #1! Never mind these are just adorable! And that cherry fabric is SO cute!! I will just need to go and buy some of that! How absolutely adorable!! I will be making one of these darling bags, and I hope I'll win the sweet fabric you are offering..
Those bags are soooo cute!!! Might give it a try myself too. Love love all 5 bags!!!! Thanks for the chance to win and have a great week-end!!!! I just love how happy and bright all your bags are - great fabric choices, all of them! Those bags couldn't be cuter! Love them! thanks for the pointer to pink penguin and for the giveaway chance ! The bags look wonderful...and love the fabric...I will have to make one! Love these bags. They will make wonderful end of the year bags for my fellow teachers. Wow! They are really cute! Love them all! These are great bags - I happen to know a couple of people who would love one. Love the colours in Millie's closet - happy, happy! Love the bags! Thanks for the chance to win. Gorgeous bags! I actually need a lunch bag too. I will have to make one. Wow! those are incredibly cute. I'm going to head over to the tutorial right now! Me and Hanne are having sewing weekends with reports very often. And we get a lot done when we have to report to eachother during the day. Including having a lot of fun. Aren't the bags fabulous?! I love Ayumi's tutorials, I"ve made her fabric basket about a hundred times! These bags are so adorable and I love your fabric choices. Can't wait to make some myself! Thanks for sharing-love your blog! Those bags are just adorable! I might just try one...or 2. Such cute bags and yummy treats, too. These are so fun! Your fabric is do perfect for these bags! So cute! Thanks for the chance to win! Чудесные сумочки!!! Яркие, веселые, просто чудо!!! I always say you can't have to many bags! so cute! Pinterest is great fun!! Thanks for the great show and tell and prizes!! Those are so awesome, fun and spring-y! And what a great idea to do a virtual sew time with a friend. virtual sewing is the best...isn't it? Lori: The bags are so cute and I love the fabric!!!!! Those bags are too cute! And I love all of the fabrics! :-) I love this tutorial of Ayumi's. I've made some of the lunch bags and it was alway a great success. You picked really nice fabrics for them. Thanks for the giveaway! Every single bag is adorable Lori, but my favorite of course is the Cottage version. I absolutely love them.Thank you for the giveaway. You have been one busy bag sewing gal! They are adorable. Thanks for the chance to win some of your cute fabric. I'm off to check out the tut & visit Monica's blog. This are so cute. I have been eyeing that pattern for some time. Fun bags! I can see how addictive they could be. They are all so cute! Your bags are wonderful! Such great sewing. And such lovely fabric choices for each bag. Very cute bags. What wouldn't be cute with all that fabric. I love your blog and music. I have been waiting to make a bag like this (I start a new job after I graduate from law school in May and want this bag to be my lunch bag) but have had trouble finding the perfect fabric to make it from. Looks like this is my chance! Wow I love these bags! I think 'want' isn't strong enough, I NEED to make myself one. The bags are just darling! I've got to make one for myself. They are all so lovely. I am a fan of your work. Adorable, adorable fabric are just the cutest. Thank you. Wow!! These are beautiful!! Love love love all the beautiful fabrics! Oh. Greatness. I love these bags, but I have been eyeing this fabric for a while...I dimply adore this line!!! Thank so much for the chance to enter!! i might be a "doublemint" twin with your girls too! LOVE all your color combos! thanks for the ideas! Love them! I follow both you and Monica on pinterest. Love them! I follow you and Monica on pinterest too. Love that site. fantastic, Lori...would really love one!! How fun and cute! The bags remind me of the bag I stored my rollers in many years ago! My grandaughter is starting school this year. She would look so cute carrying this lunch bag! How cute are they. Isn't it fun to sew along with a friend. My g-grandaughters would love these for all their treasures. Thank you for sharing. Awe... I love your bags so much! I'd love it even more to win your give-away since Monday is my birthday. I'm taking off work just so I can do some sewing. I'm going to make one of these bags and enjoy the day. Thanks so much for sharing all your talents with us. This tutorial has been on my pintrest board for a while now and I NEED to make it. What a wonderful collection you have made. LOVE them all. Thank you for the awesome giveaway!! These are so cute. Would love to win one. Your bags are sew cute! I will have to check out that tutorial. Thanks for the fun giveaway. The bags are so pretty. I will definitely be making a few. Oh my.. They are all just adorable..Thanks for the opportunity to win one!! Love your fabric! Love the bags! Love your blog! Thanks for sharing. BIG CHERRY..... oh sweet cherry love. TAnd the bags are sew cute! So cute..each one is beautiful! Heading over to Ayumi's now!! Thanks for sharing! Too cute! I love the bag. I am going to make one for my little girl. Thanks for sharing and the generous giveaway. Have a nice weekend! These bags are so cheerful and will make someone happy! Would love to win your fabric to make some. A cute collection of bags! I've never seen the "Big Cherry" candy. Bet it's yummy. Well, how cute are those?? Oh, my, honey - wow, that creativity is sure buzzing around in your head! You're amazing! Thanks for sharing- my daughter told me just yesterday she needs a cute bag instead of a grocery sack! I'm off to check out Ayumi's tute! I love the Pink Penguin's tutorials too. I've made dozens of her basket and this is even cuter. Can't wait to make a few. for my nook and a snack! Love your blog! These bags are so cute! I love making bags and will have to make this one too. Adorable and great fabric choices! Love, love, love these bags! And LOVE your fabric, too. I'm keeping my fingers crossed for this yummy giveaway.......! LOVE these!!! It HAS to be me :)!!! Thanks! How utterly adorable! I love them! They take me back to a little childhood purse I used to own. I LOVE the fabrics and colors! Hope I win! Love the bags, and love the tutorial, please enter me in the drawing, I'd love to win the yummy fabrics and candies!!!! How sweet! Hope I win! So adorable. I hope I win! Thanks for the opportunity. Sew darn cute!! I love the fabric choices put together. Thanks for the chance to win. I just LOVE these bags. And I LOVE making bags. All of my "Bee" ladies like my fabric choices, but I like yours more! Those bags are awesome! I'm definately going to make one...or two...or three. Thanks for sharing the link to Ayumi's tutorial. Sew cute.....I can see my granddaughter carrying her lunch to school in one. Or maybe she would need a different one for each day of the week! That's what friends are for having fun! Beautiful bags girls! Having fun with friend! Beautiful bags! Ayumi has the best tutorials! And I'm a long time fan of your fabric! So dang cute! I must make one! These are gorgeous and the tutorial amazing, I think I'll make one! I am loving these bags, I have a pattern that has a similar draw sting, but that bag is huge, These little ones are perfect and would be perfect for the girls at church. You know that sew cherry is my absolute favorite of all time, so the more I can get the more happy I will be. One of my dear quilt buddies recently moved several states away...love the idea of a long distance quilt along! I am sure I can convince her to do what you've done! Love the bags...am sure we won't be able to stop with one! Thanks! The bags are adorable. Cute pattern and even cuter fabrics--awesome!! Wow, Lori those bags are fabulous! LOVE Them! I'll be running over to see the tutorial right now! This post is "sew" inspiring! I am definitely going to try to make this. :o) Thank you for sharing and for the chance at your wonderful fabric! That is a sign of a great pattern when it looks good in a whole range of different fabrics! Those are so great! thanks for sharing the link and a chance to win some of your fabric. I love the bags and each one happier than the next! Thanks for the giveaway! This bag is darling and I loveeee all the fabrics that you used. I love making bags and I'm going to make this one very soon!! I can see these in my granddaughters' hands. Soooo cute! Absolutely adorable!! I have been looking for a cute lunch bag with no success! I think I have found what I want to make!! Super cute! These are so cute! These would be a great shower prize for my future daughter-in-law's shower! Love it! Thanks for all the inspiration. The fabrics are beautiful! Oh gosh, they are all absolutely gorgeous. I'm not surprised you had to continue making them. Going to try the bags. You have the best ideas..Thanks for the chance to win....Can't wait to see what you make from your new fabric line.........Love the table your bags are on!!! Perfect project for a rainy day, thanks for the link to Ayumi's tutorial and for the chance to win some of your great fabric. Well of course you need five! One for each day because they are all so cute that you couldn't pick just one!!! Thank you for sharing. Those bags are to-die-for! So cute! I love your Sew Cherry fabric. The good news is that I won a 1/2 yard bundle of it on another blog!!! I was so excited! The really really bad news is that it got lost in the mail. I'm still sad about that! These are adorable!! Love, love the fabrics!! Love the bags! What a great idea...the sew along..have someone in mind to do that with....thanks! I'd be over the moon excited if I won your Sew Cherry fat quarters. O Sweet Moses how cute are those. I would make them for my 5 sisters. How fun they would be to fill with the their favorite things and give as birthday gifts. ADoraBLe. Your bags are so cute and I love how the treats you added to giveaway coordinate with your fabric. Have a good weekend and thanks for a chance to win! So lovely - love the fabric. So absolutely cute!! I really want to make one and your fabric would be perfect!! Oh, I hope I win!! Oh, Lori. SEW CUTE!! I can't wait to sew some for gifts. . . and one for me! Thanks!! These are so so cute, and I can't wait to make some! Thanks for the chance to win some of your great fabric. Those are all wonderful. I think I need to make one for myself. Thanks for the link. Oh, how cute! I love the drawstring closure. Thanks for the link to the tutorial, and for a chance to win the drawing! I enjoy reading your blog daily! You have such fun fabrics and projects! How adorable! I have to get over to that tutorial this weekend and sew me some bags! I have an open shelf just waiting to give a new home to your give away fabrics! I love these bags what a cute pattern! I am so going to add this tutorial to my list of things I have to make. They are just adorable and you have become a bagaholic that's for sure. I LOVE the look of that candy too. Ummm must get me some ... somehow! Both the bags and material are gorgeous! This is some serious bag LOVE!! They are super darling! Ok, now I'm on my way over to check out this tutorial!! I saw this tutorial review on Erin's blog and thought it looked adorable. It would definitely be cute made out of Sew Cherry fabric! AND a Big Cherry candy bar to keep up my strength while sewing - Heavenly! Thanks for the generous Giveaway! So very cute - might have to dive into my Sew Cherry FQ stash right away. I'll try to be patient, but it's gonna be hard! Now I know what I'm making for the mothers in my life for Mother's Day - filled with lotions and such! Love the bags - thanks for the tutorial! Cute bags! And cute fabric. Thanks for the chance. wow! i just love all the little bags and all the fabrics -- too dawgone cute! what fun you must of had! Yay! please count me in! Totally adorable! Thank you for the chance to win! You are so wonderful to give away fabric. I would love to win. I am teaching my 7 year old to sew on her new Mini Janome and this would be a great project for us. Sew cute. I love the drawstring at the top too!! What a cute design. GEE! THOSE ARE REALLY NEAT BAGS! PUTS ME IN THE MOOD TO SEW BAGS! These are "too cute". Can't wait to make one, two or five. Darling bags. The fabric ~ awesome ~ What a way to brighten up a dreary, wintery, rainy day (I'm not complaining) ! Love all the adorable bags you made! I'll have to be on the lookout next time I'm in the US! Those are some great looking bags. The drawstring on the top is a great idea. These bags are sew adorable!!! Thanks for the chance to win and for the link to Ayumi's tutorial. Love these bags! My granddaughter has been wanting me to make her a bag. This one would be perfect. Thanks! OMG!! These are just so stinkin' cute and the fabric was meant for them!! Thanks for sharing. I would love, love, love to win and make my own! these fabrics are adorable and so perfect for this lunch bag idea! These bags are so cherry-licous my 7 year old thats going on 20 would just love one of these i could just see carrying it to the lunch table.....and her telling everyone where she got it from.The only problem is that i also have a 11yearold dauhter if we are lucking they just have to take turns..keep up the wonderfull inspiring sewing love it!!!! Can't wait to try one in delicious spring prints! They are adorable. Beautiful bags! I love the drawstring top....and all of the sweet fabrics! Cute bags--all of them are great! Haven't had a Big Cherry candy bar in years--oh the memories! Darling bags! I love the drawstring idea. Thanks for the link to the tutorial and the chance on your wonderful giveaway! OoooH I can't wait to make one of these beauties! Thanks for the tutorial and letting me enter! I am anxiously anticipating raiding Millie's closet- I love what I have seen so far!! ADOREI.PARABÉNS!! !Se por acaso....muito por acaso eu ganhar,você pode me mandar esta de morangos?Obrigada e fique com Deus,e que ELE me ajude...Amém???? ADOREI.PARABÉNS!! !Se por acaso...muito por acaso eu ganhar,você pode me mandar esta de morangos?? ?Obrigada.Fique com DEUS,e que ELE me ajude.Amém?? These bags are so lovely. You'll have to alternate days using them, so they all get used!